Advocacy Rule #1: Write Things Down When They Happen! Your goal at an IEP meeting is to initiate or obtain additional special education and/or related services for your child. 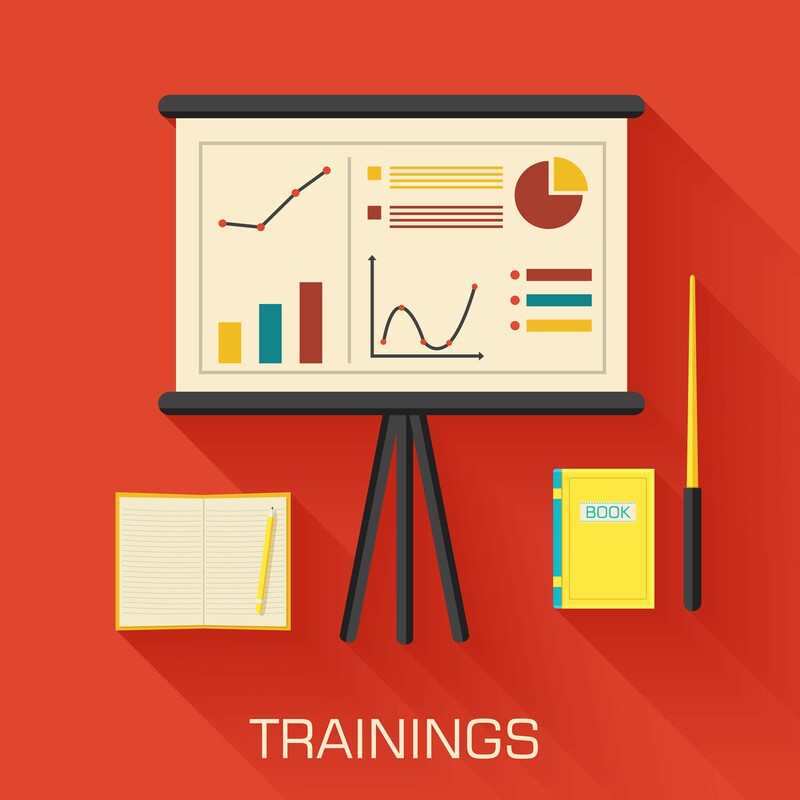 A successful outcome at an IEP meeting depends on the documentation you make available to the team. You can’t wait until the last minute to prepare documentation. Documenting events and conversations later is never as effective or accurate as writing things down, in detail, at the time they occur. Here are some tips . . .
the child’s reaction to the response. Each entry should be dated, time stamped, and signed. This log will support the need for continued service from the paraprofessional. If you plan to request a paraprofessional for the first time, you need documentation that shows your child’s need for this service. Include the child’s action, the teacher’s response, and the child’s reaction to the response. If the child is taken to the principal’s office, staple a note from the principal with information about what happened to the anecdotal report. Two to three weeks worth of reports are usually sufficient to validate the child’s need for this service. For example, if you will request speech therapy, ask the teachers to write notes regarding times when articulation errors affect the child’s academics (i.e., poor spelling as a result of producing sounds incorrectly, etc.). If your child has a language problem, ask the teacher to document times when these problems arise (i.e., in reading comprehension, context clues, cloze, etc.). You can use anecdotal sheets to document a child’s needs for other related services … occupational therapy services, physical therapy services, and counseling. It is your job to keep a careful record of all tests. Don’t highlight information in evaluations. Use Post-it notes to write comments or call attention to specific information on tests and other important documents. Make copies of tests and quizzes with the Post-it notes attached. When you attend a meeting, have your documentation ready to go. Anecdotal sheets should be in a sealed envelope (sealed by the teacher before giving them to you). Ask the team to make copies for you. Your log book should be presented for the team’s review, but you should take it back at the end of the meeting. The team can make copies of any entries they want as part of your child’s record. Present your duplicate tests in a folder so they are part of the record. If you present proper documentation that supports your request for a service, the team’s respect for you is likely to increase. They are more likely to acknowledge that your child needs the service, and conclude the meeting in your favor. Note: Sharon D is an advocate from New York City. This entry was posted in Advocacy, IEPs, Strategies, Tests & Assessments and tagged Anecdotal Form, Documentation, IEP Meetings, Paper Trails, Strategies by Sharon D. Bookmark the permalink. We need an experienced attorney to take on Beaufort county, South Carolina, school district (BCSD). This district has taken advantage of my blind son since pre-k and continues to victimize my family with zero repercussions. Any suggestions? 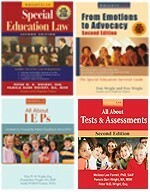 Kelly – If it is in the IEP no problem. 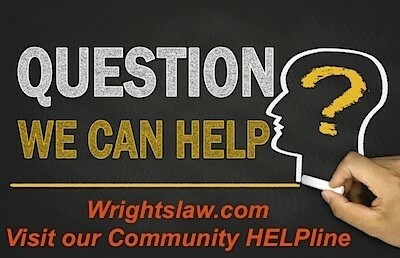 If not you need to get it in there quickly because they have no legal obligation to continue it. 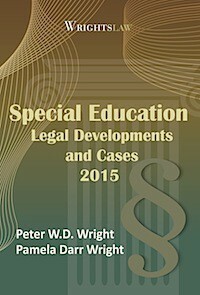 Can you please direct me to any special education regulations/laws (MA) regarding communication logs? We’ve always had one that goes back/forth, to/from home and school. Mostly our daughters’ paraprofessional writes in it. Also, I write in it, as do the speech therapist and the resourse room specialist on occasion. The school says they want to cut down on the use of communication log. I have reason to believe that they just dont want documentation existing that I can use later (e.g. as you’ve outlined above). Anything to help me to keep the log in existence? FYI – there is a need, as my daughter is mostly nonverbal. Suzanne You may request a multifactored test no more than once per year. I have requested testing once a year two years in a row for my son to prove that he was not making adequate yearly progress. If you want testing more than once a year the team has to agree but you are allowed testing once a year. This way you can get the latest information you need. My child is transtioning to 6th grade(middle school). I would like to move up the triennial testing from March 2012 to May 2011 so that the new site will have current testing results. Shouldn’ the elementary school honor this request? Should I get an Independent Evaluation from a “real doctor” for my daughter? I found out something interesting this past year when they were doing the triennial assessment. I called the School Psychologist who was just one of many who do the testing “Doctor”, and he advised me “we are not doctors with medical degrees, which is somewhat misleading in our title”. Then he stated that he wanted to make that very clear to me. From the report, all the school does is “compare my daughter with the average child, same age and comes out with an IQ? This is strange to me, as I always thought the people who work as titled “School Psychologists”, were in fact trained medical Psychologists (forgive my spelling), but I am not really confused and my daughter is a SENIOR!!!! I have called these people “doctors” since pre-school. Have I been misled? As a paraprofessional I see teachers mistreating students. when I say something about it they write me up and the principal has even said ,quote the techer is always right you are only a para, how do i go about this problem without losing my job? When I was trying to get the teacher to fill out the anecdotal forms on my child, the Principal refused to let her use them. They did not help me at all and would not give me any information on what happened. I had to wait to recieve his write ups in the mail most of the time. How do you get a school to use these tools? Thanks for continuous updates, very informative, but how can I get the full article on writing things down, documentation. What is considered good documentation. At our last IEP, the team agreed to a parapro for my daughter who has autism. It never made it into her IEP but it’s in the meeting notes. Is that considered part of the IEP? Is there a way that we could request the “same parapro” since we can’t actually put a name down? My son is going to start in NYU Poly Tech in fall, his in a wheelchair and need a paraprofesional services, how can I get it ? the college don’t have that service. My heart goes to those parents who have children with disabilities, and I truly understand what they are going tthrough. I am a parent who has a son with a disability with bipolar, mood disorder,and odd,and I have been trying to get FAPE for him since 4 years, and this year was the worst for my son when he started middle school this year at this horrific school. He was assualted twice, once by his para,and another time by an older student. He is doing much better since we transferred schools, but the school wasn’t following up with his IEP,BIP. He was not provided with work sheets in general classrooms like his other peers, instead he was removed from classes and placed in insolation. This is a shame to have to fight with schools 4 an appropriate education 4 our kids. As a parapro (and a parent), I just wanted to comment about giving the notebook to the paraprofessional to fill out. Our school district does not allow that. Parapros are not allowed to communicate with parents. That can be done only by the teacher. I think it is a great idea and wish that it could be done. My child was diagnosed with ADHD and Anxiety Disorder in Aug of 2006. Can we get 504 for her? We have tryed since 2006 to get her on the 504. but ever year she is turn down. This year has been the hardest year. trying to get her to school and her anxiety is high were she is having panic attacks. She say she can’t handle been in a classroom with that many kids and noise. she say she feels closed in and can’t breath. so right now I’m trying again. She can’t handle her classwork she always its to much and can’t handle it and starts crabing her chest and starts crying. Every 504 Med Statment the Dr. has field out says 504 ,Shorten test / assigments, but nothing. The school Psychological gave her a test last year it was a screening. They said she did find and again no 504. Please tell me if I’m doing the right thing by trying again? You say to copy all graded papers and test for your records. Don’t highlite on them but use post it notes. What is the school will not let a test leave the school. That you can come up and look at the graded test but nothing more. What are our rights as parents and how do you present this to the school without sounding demanding? My child hads been bullied the past two years. I have on numerous occasions spoke to the principal about my concerns. All concerns were ignored and the bullying continued. 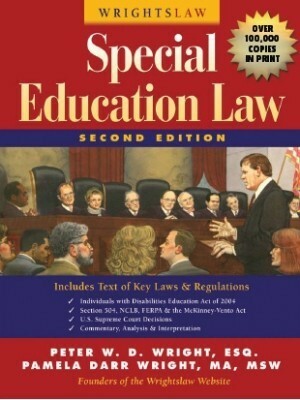 The pricipal was under the impression that because I work in the same school district as a special education parapro I would not persue the issue. I have recently went over the principals head to the next change in command. I agree that the school system will sweep things under the rug. Document, document , document. When I had a board meeting about the issue there was no sweeping it under the rug. All letters to the principal were emails that were copied. Doctors reports from her injuries and a pych report of the bullying and stating my child suffered from anxiety disoder school related. Principal has now been replaced!! In a meeting with my son’s team that had nothing to do with next year’s placement, the special ed teacher and regular ed teacher started talking about next school years placement. I did send an e-mail asking why they were talking about placement. They were stating that he should be in 1/2 day special ed and 1/2 day regular ed. My son has autism and is at grade level in all academics, however he does go to diagnostics for 1 hour a day for supports in reading comprehension and blending sounds on s words. My son also is being assisted while in diagnostics to write sentences (they say he is doing that by himself now) he is a little low on the comprehension part. He has no behavior issues. He does use a schedule. He is verbal and does communicate his needs. My son has told me he does not like going to diagnostics because it is embarrassing. Whenever I disagree with recommendations or consequences concerning my children’s behavior or educational needs from the school, I am constantly pressured and stressed from the phone calls from the school. If I disagree with findings such as test results, IEP’s, BIP’s, Special Education, etc., the committee consistently tries to intimidate me by telling me what will happen to my children such as a regular code of conduct, knowing they have mental disabilities. 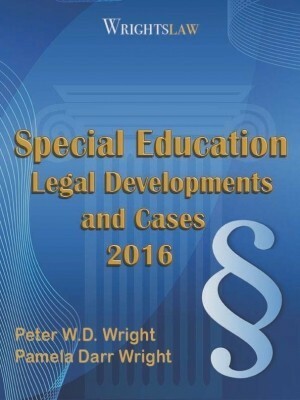 Legally I am disabled as well, due to emotional and other mental impairments. 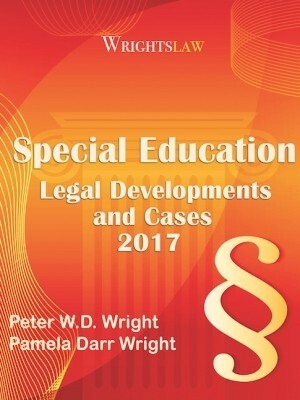 As a disabled parent in the school system of disabled children, do I have any rights besides my rights under the student’s rights, to freely be heard and disagree without being pressured and intimidated to change my decisions concerning my children’s educational and behavioral well-being? Have the teachers fill out the anecdotal sheets and put them in sealed envelopes. At the meeting, request the team to make copies for you. It is important to present the anecdotals in sealed envelopes with the teacher’s signature written across the flap so that the team will know they have not been tampered with. What services are you trying to obtain? 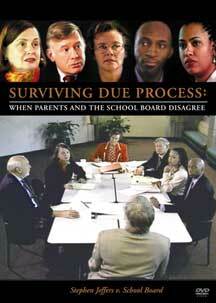 Provide the school with justification for every intervention you are requesting. If you give me further information, I will try to help. I am completely new to this whole process. My 12-yr old son has been treated for ADHD for about 6 years, but he was recently diagnosed with Asperger’s. He’s very high functioning but needs help at school. Can you clarify getting the anecdotal sheets in sealed envelopes but having copies made for yourself? Do you mean you present them in sealed envelopes to insure you haven’t made changes? 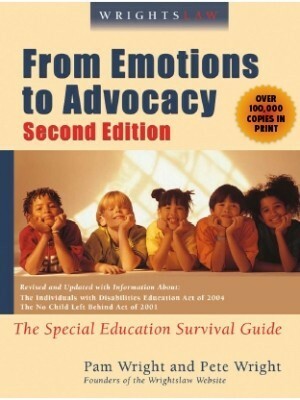 Where do you recommend I go as a “starting point?” I’ve ordered the “Emotions to Advocacy” book, and have set in place the ARD process, but I want to have all my ducks in a row. Triennial testing is important as it determines whether or not the interventions that have been used have been successful. 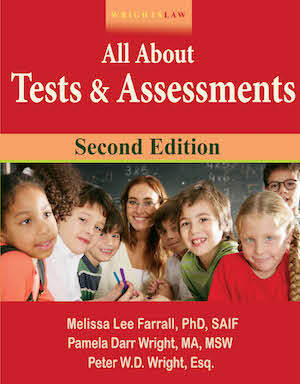 There are many ways of doing evaluations, but standardized tests used for IQ determinations cannot be modified. Selecting the correct test that is appropriate for your daughter, given her disability, is essential to obtaining good information. According to IDEIA, triennial testing can be dispensed with as long as the parent and school agree to do so. It should not affect the services that are already in place, but it could prevent you from receiving additional interventions is necessary and creating appropriate goals for her education. I have a question regarding my daughter’s triennial assessment. I want to know if I can “opt” out of a particular testing area on my child’s triennial assessment? The psychologists are doing “standardized” testing which is totally inappropriate for my daughter and due to her speech deficits & gross motor impairments due to her TBI, they are grading her IQ extremely low and are not adapting the tests to meet her individual needs. They began assessing prior to me signing an assessment plan. My question is, I would like to opt out of the Cognitive Testing. 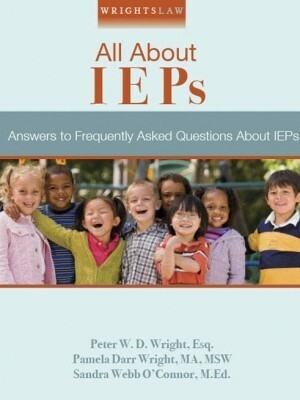 Will that hurt my daughter’s IEP if I choose to do that?